In early 1917, before the wartime ban on private flying in the US, the famous aviatrix Katherine Stinson commissioned Curtiss to build her a single-seat exhibition aeroplane. The result was a quick adaptation of an S-model triplane fuselage to new two-bay biplane wings, a 100 hp OXX engine, and modified JN-4 tail surfaces. Miss Stinson, exempted from the ban on civil flying because of her use of the aeroplane in fund-raising activities, gave many exhibitions in the US and Canada in 1917 and 1918. 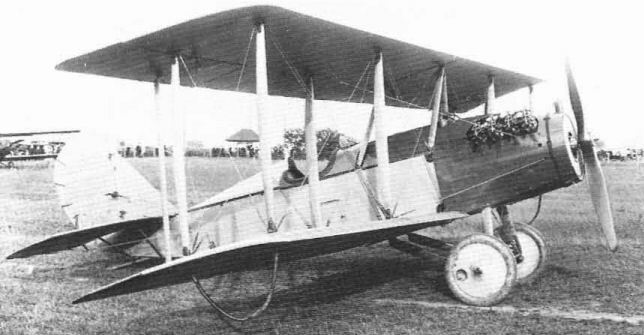 The aeroplane underwent several minor modifications at the hands of its owner as the result of repairs or desired improvements. This special single·seat aerobatic aircraft was built for Katherine Stinson by fitting a Model S triplane fuselage with new biplane wings.